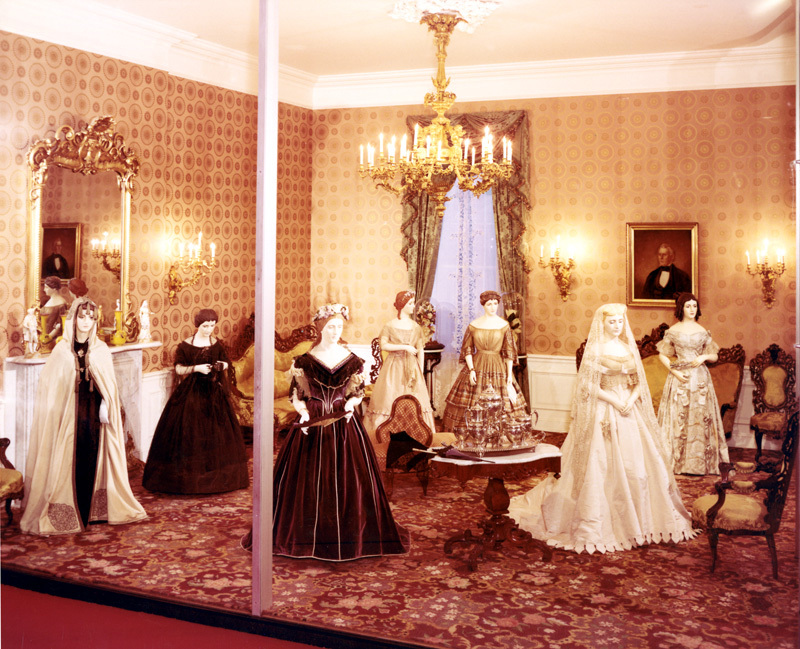 The 1950s period rooms became even more elaborate when the collection moved into the new Museum of History and Technology (now the National Museum of American History) in 1964. 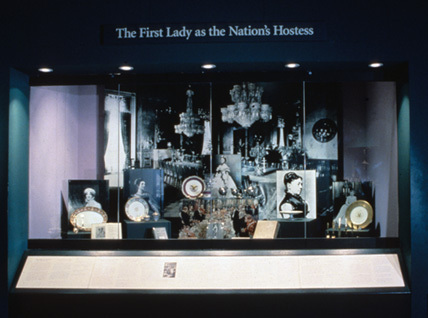 The exhibition included larger displays of personal accessories and White House china and furnishings. 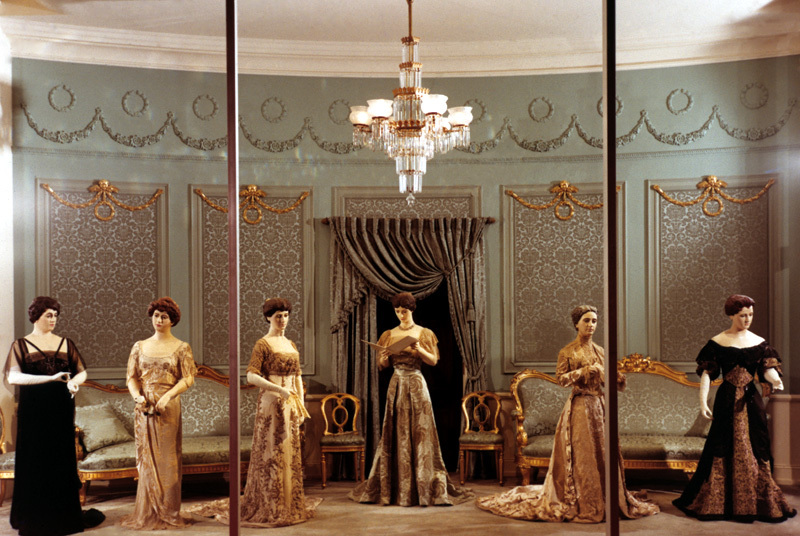 The new First Ladies Hall illustrated the changing style of the White House, but the gowns were still its main attraction. 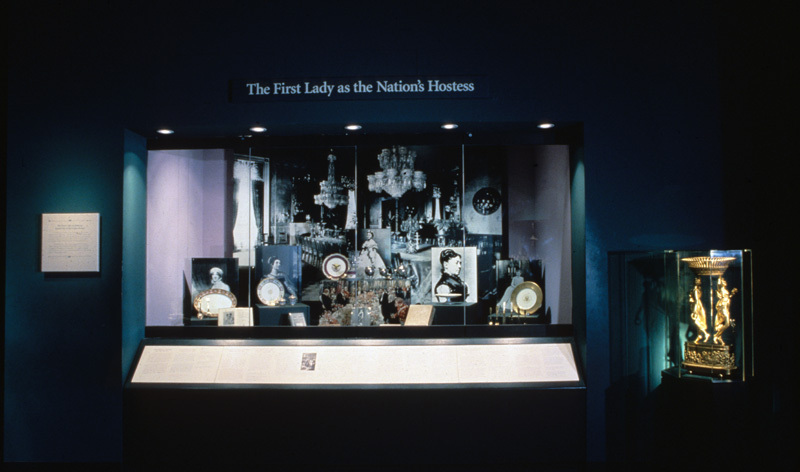 In 1992, curator Edith Mayo developed a new exhibition of the first ladies collection based on political and social history rather than fashion and furnishings. First Ladies: Political Role and Public Image incorporated women’s history scholarship and shifted the focus to the evolving roles and contributions of the first ladies. Long years on exhibition had damaged many of the gowns, some of which had been on display since 1914. Conservators treated the dresses and created new mannequins to support the fragile fabrics, enabling fourteen of them to go back on display. A special gallery designed to minimize damage from light, dust, and climate held the familiar gowns, along with fifteen dresses and outfits not usually on public view.